Backpacking trend has been here for a couple of years but probably much longer with a different name! People were always traveling on a low budget, using local transportation, trying to avoid hotel resorts, crowds and willing to know the real local culture. Nowadays, unfortunately, it’s almost impossible to avoid crowds of backpackers especially in South-East Asia and Latin America. 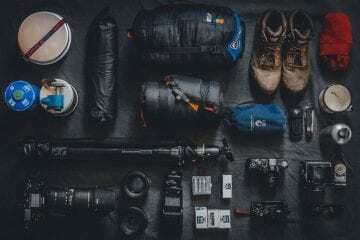 As backpacking is growing in popularity we are coming with a list of websites which can be useful for every backpacker out there! For any commuter who wants to make the most of their trips, car-sharing can mean a great deal. 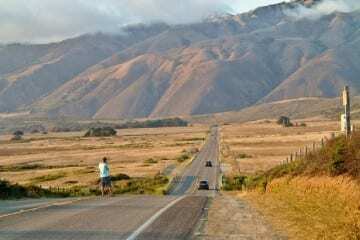 Luckily, this Turo app provides us, backpackers, what traditional car rental companies just can’t – freedom to choose, convenience, and security in one a few clicks on your device. A million users and car owners have enjoyed so much with this app that it has been dubbed repeatedly as the car-version of Airbnb, which was indeed an inspiration for the company concept and its founding in 2010 as RelayRides. The app initially started as a peer-to-peer car sharing service in the US, has headquarters in San Francisco, serves millions of commuters, and showcases hundreds of thousand cars available for rent. Users can pick their choice depending on their preferred price range and mileage allowances, and for added convenience, your selected vehicle can be delivered to your location. For the passengers and car owner’s benefit, Turo partners with an insurance company. So there’s no reason for you to worry. Book a car rental and enjoy the ride. And perhaps, another great deal about this app is that it’s not just about getting a ride for commute. Other users also find this app extremely helpful when booking trucks on moving day, a limo or a luxurious vehicle for a long-awaited weekend getaway, a bus for road trip with friends, and more. 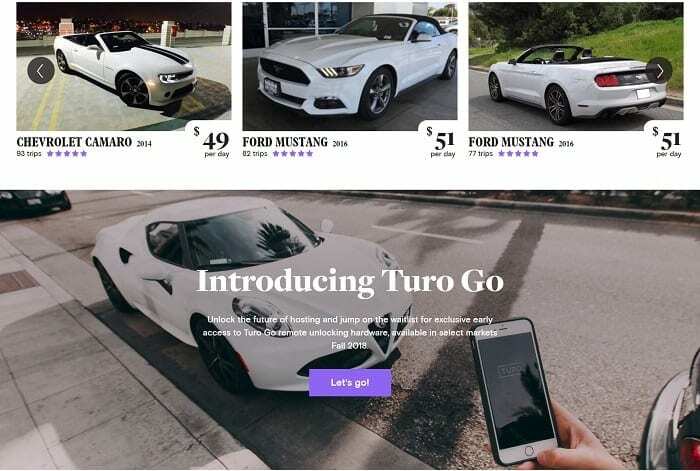 Turo is more than app. It is a venue where local car owners offer their vehicles and earn, while users choose their own terms and budgets on how to enjoy their journeys. Win-win! In about three years, the Revolut app has gained the trust of its million users. It is an elegant and streamlined financial app offering hassle-free and secured international spending. With the use of your smartphone, Revolut gives you access to free international money transfers, save fees when you shop abroad, and more. Backpackers and travelers who use this app gains security and convenience to their spending. Just a few clicks on their phone and they can freeze lost/misplaced/stolen cards and unfreeze these accounts when found, have a physical balance in 16 currencies, save fees on international money transfers, and more. Users get a Revolut card delivered to them in as fast as 2 business days. It may take longer depending on your location and preferred delivery. But once you have your card, Revolut should help you securely transact at an interbank rate in 120 currencies. 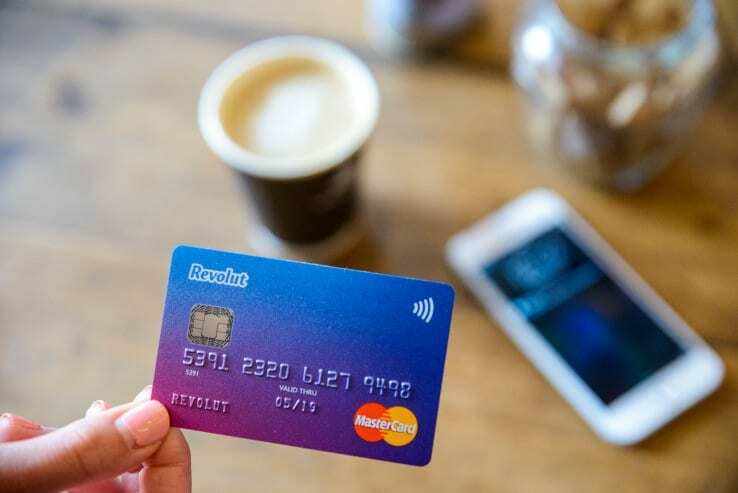 Revolut app users also benefit from free card transactions in 120 countries, free ATM withdrawals of up to £200 each month then with a 2% fee thereafter, and lesser risks of fraud and overdrafts. The app is protected by either a password or a fingerprint ID, and is regulated to protect consumers. This user-friendly app allows you to conveniently transact in more than a hundred countries safely and almost instantly. You can spend with no to minimal fees, in up to 25 currencies real-time. Customer service is available 24/7 for your guidance. Another amazing project ideal for backpackers. Are you planning long flight which will require layover? 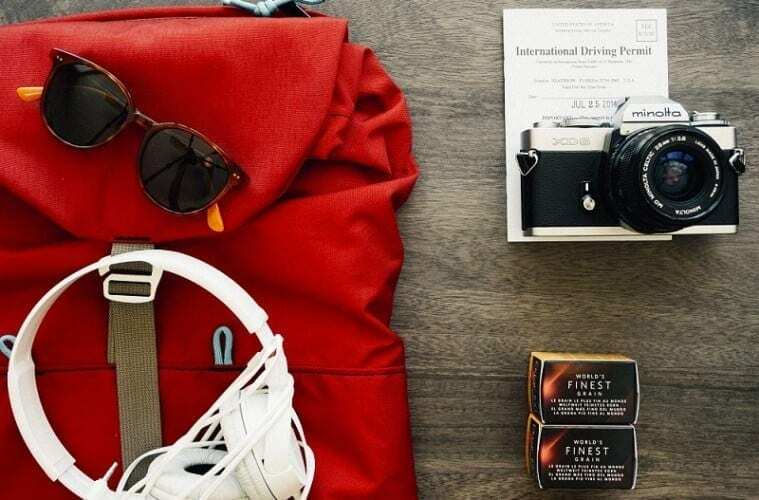 Well, plan it wisely, split your travel type and spend good time in your layover place! AirWander got this covered and with their smart engine, you can find great trips and time it very well. You will be able to save up much more than if you would try this on your own. Proper backpacking trip is not a short-term thing! Usually backpackers tend to travel at least one month, up to years. 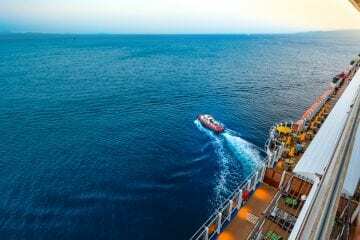 Therefore, having proper travel insurance is very important. In many places around the world tourism and accidents became huge business! Sometimes it’s a good thing. Because there are quality hospitals in less developed countries, just because of tourism. So they serve you with certain standard. On the other side, sometimes you end up in bad hospital and bills go up crazy. WorldNomads insurance’s packages, services and support are adjusted for travelers and therefore you can rely on it much more than on your local (home country / commercial) insurance. Check out also our roundups of Hostels for Backpackers from all around the world! Become a volunteer, do an exchange job and get accommodation & food for FREE. Workaway is a website providing volunteering and cultural exchange in over 130 countries in the world. It’s really easy, create a profile and search for your destination! Get a job in your dream country and experience other side of traveling. You can choose from various jobs such as, housekeeping, farming, construction but also IT jobs, web design, fitness etc. Another savvy solution how to find a unique but affordable accommodation on your travels. It doesn’t matter whether you travel alone, as a couple, a family or a group of friends. Airbnb offers several types of accommodation. Rent a loft in New York, spend a night in an igloo in Finland, rent a room in medieval Irish castle or dip into a swimming pool in your villa in Bali. Airbnb was created as a marketplace where you can rent your flat or room while you are traveling and monetize your space when it’s not occupied. The community now consists of more than 60 million guests in 191 countries across the globe. If you are new user you can enjoy a welcome 35 USD credit to your first booked trip. Just sign up using this link. 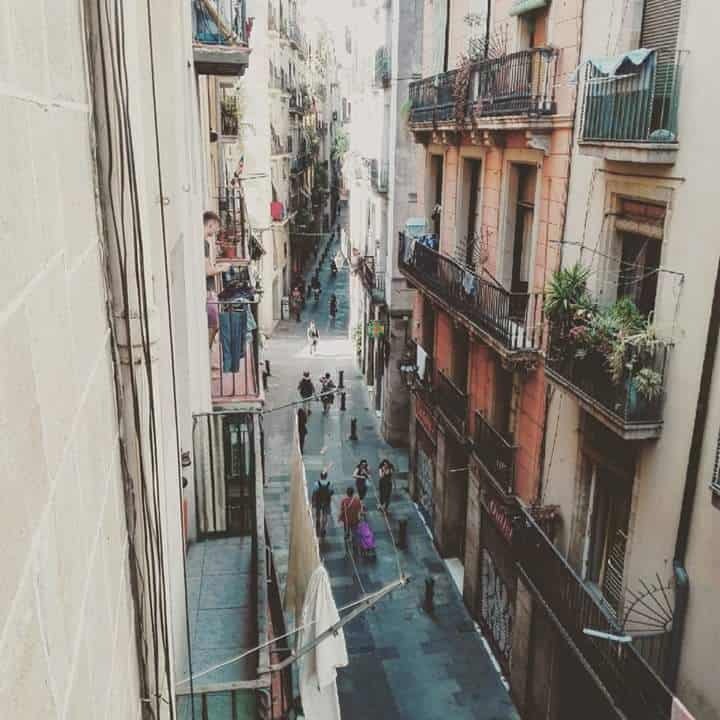 The view from my airbnb place in heart of Barcelona! – with airbnb you get to stay in amazing areas for very reasonable cost. Find thousands of remote jobs! Anyone can backpack and enjoy the wonders of the world, but only a few can earn money doing that. Hubstaff Talent enables you to make your dreams come true. Get your first remote job today with just a little bit of effort. There are 1000 of skills that you can monetize through the internet, just browse their portal and find one that suits you. You never know what you might find. Getting a remote job is the best way to start traveling indefinitely. Just create a compelling profile, add your resume and companies that find you valuable will contact you based on your work experience and personality. Jobs range from web design, content writing to PHP development, so if you browse carefully you will definitely find a job that you can manage. Create your profile today and be on your way to getting your first remote job so you can travel the world indefinitely. Find the cheapest places to stay! Backpackers prefer to stay in cheap hostels and they don’t mind to sleep in dormitory room with 10 other travelers. Social live in hostels is amazing because of the amount of travelers you meet (the parties rocks!). To find a cheap/good place to stay in almost any city is with Hostelworld not problem at all. Personal experience: definitely one of the best travel websites when it comes to great and cheap accommodation. Good review system, affordable pricing and wide choice in almost every city! Read travel experience and plan your trip! Find accommodation for FREE or make friends in new city! The idea of couchsurfing is simple but priceless at the same time. It is one of the biggest travel communities on web. Pretty much in every bigger city in the world you can find a couchsurfer who is ready to host you, show you around or meet some locals. Apart from crashing someones couch, you can go to meetings or parties and meet interesting, mostly friendly people, hear theirs stories and share yours. 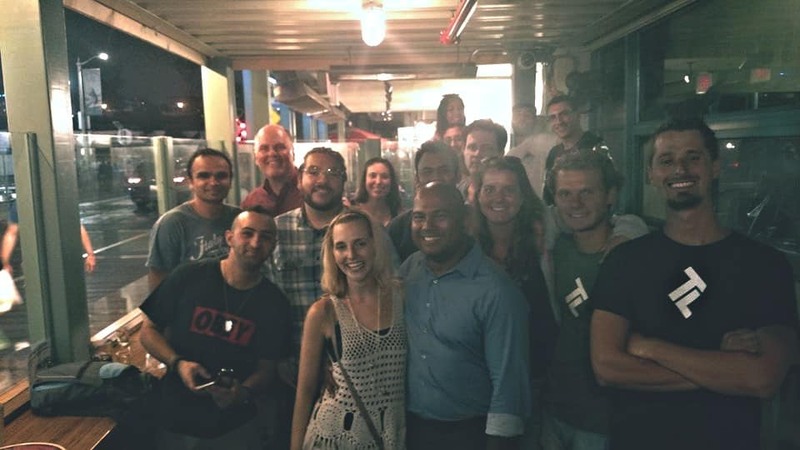 You can also create your own event for meeting new pips, sharing a ride or looking for travel buddies! Couchsurfing is growing daily, it is a chance to make millions of friends worldwide don’t waste a chance like this & make your travels attractive. Traveling Lifestyle crew at the couchsurfing event in Santa Monica, LA. Backpackers usually prefer to take a bus, a bicycle or hitchhike but sometimes you have to take a plane for whatever reason. There are many flight search engines out there but Skyscanner is one of the best. Skyscanner is completely free, multilingual with over 30 languages including Chinese, Japanese, Spanish or Russian. It does not sell flights directly but it allows you to find the best deals. Become one of 35 million monthly visitors and get your flight for the best price on the market. The biggest travel forum on the internet! Lonely Planet is the largest travel guide book publisher in the world which is great but backpackers hate LP. But be wise and think twice. Thorn Tree forum is one of the biggest travel forums on the web. Just imagine the wealth of information in every single post. Millions of subscribers have shared their questions, problems, hints and tips before you even started traveling. Thorn Tree was founded in 1996 by travelers and for travelers. It is a golden mine of information. Best source of train transportation information! If you like to use train transportation there is no better information source than seat 61. Not just famous but first of all very useful website about railways in Europe, Russia, India, more countries included. Check the details like schedule, map or even book a ticket. Over a million visitors in a month is a prove of popularity and importance of such a project. The Man in Seat 61 has won several awards as well. Yeah we know it very well. There is no much to say to introduce Tripadvisor as everyone knows it haha. In forum with over 60 million members and 170 million reviews it is impossible not to find an information you need. 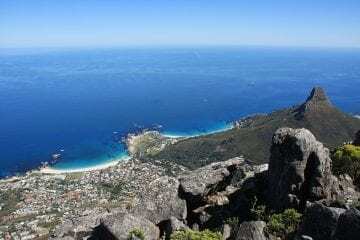 Check out the top attractions in your future destinations, read reviews, check the photos & plan. Well done Tripadvisor, thank you. Worldwide search engine can take you anywhere! An amazing project, Rome2Rio is a worldwide transport search engine. Enter any place, landmark or city as an origin do the same for destination and hit enter. Search engine searches through databases of flights, buses, trains and ferries. It also compute the roads for cars. Use of map based interface to display roads makes it really easy to understand. A classified advertisements website operating in over 70 countries around the world. If you are looking for whatever first try craigslist. Accommodation, cars, services, jobs, new or used staff there is no thing you can’t get on craigslist. But be wise because there are many freaks trying to rip you off. Apart of that it is a great help.